In a dimly lit corner of Lake Havasu City, someone is throwing stars into the galaxy. Behind a black curtain, someone else is fighting zombies in Arizona. Their neighbor is using light sabers to break blocks to a popular song. Welcome to VR: Escape Reality. Chris Starr, 32, the owner, sat down with Riverscene Magazine to discuss how he created one of the most unique businesses in Lake Havasu City. This is the first in a series in which Riverscene Magazine covers the young, forward-thinking local entrepreneurs. Multiple experiences are the highlight of VR: Escape Reality. Starr, a 14-year native of Havasu, explained his fascination with VR and how it can be an entertainment staple at a low price. “VR gives you the possibility to have numerous experiences in one place,” he said as he explained to us the variety of games and experiences one can enjoy in VR: Escape Reality. 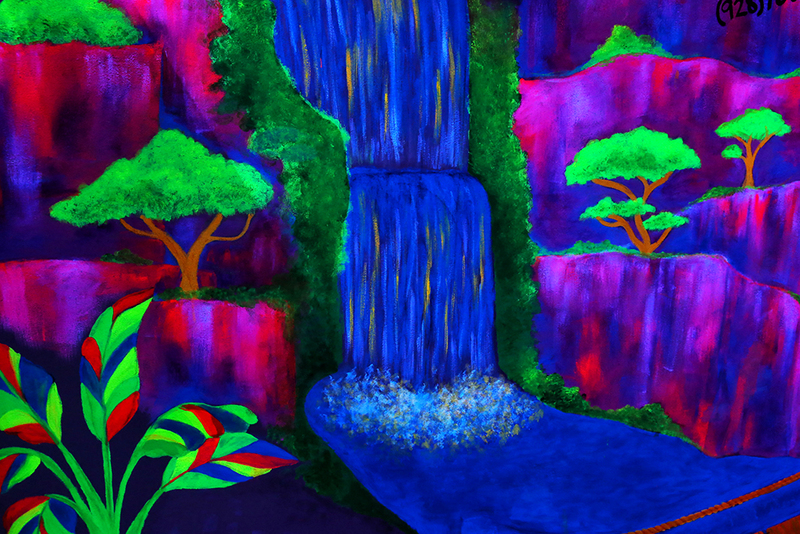 There are games where you fly, swim with dolphins, and ride of roller coasters. The possibilities are endless. 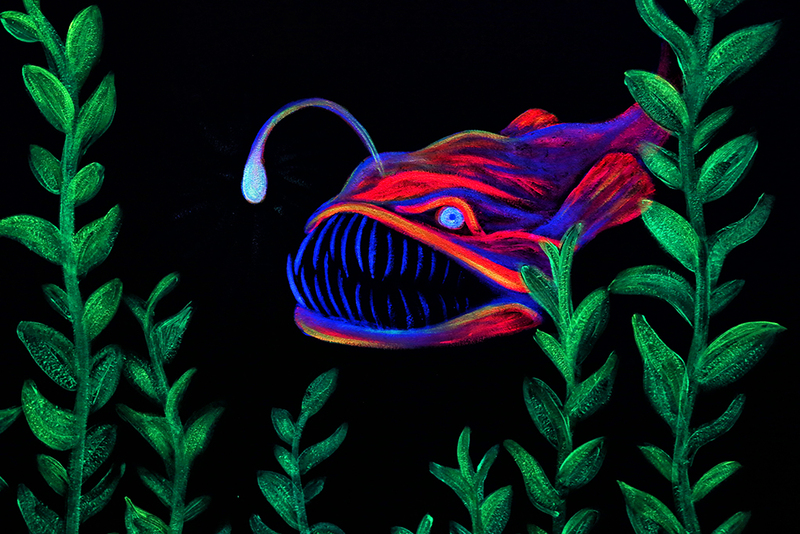 This new style of entertainment is not just new to Lake Havasu, but also to Starr. “One day, I bought a cheap VR lens on vacation and I loved it.” After doing more research Starr realized there was huge potential in VR and was particularly interested in the physical aspect of it. “Some VR games can give you a workout,” he said referring to a few of his more popular choices. One of Starr’s favorite games is Battlesky, where players can fly in a jet propulsion suit and have dogfights with dragons. While Starr likes VR, he admits that his wife and daughter are the gamers in the family. However, his business background gave him the knowledge to capitalize on this new technology. Starr worked at a bank in town for three years before he decided to pursue a new business. Originally from Santa Barbara, Calif., Starr always had a desire to see different types of entertainment in Lake Havasu City. Through VR, he believes this is possible at lower prices. “The nice thing is I can accommodate anyone.” Chris also told us how everyone from people with disabilities to elderly visitors can join in on the VR Fun. Between the wealth of options VR: Escape Reality offers, anyone can be entertained. 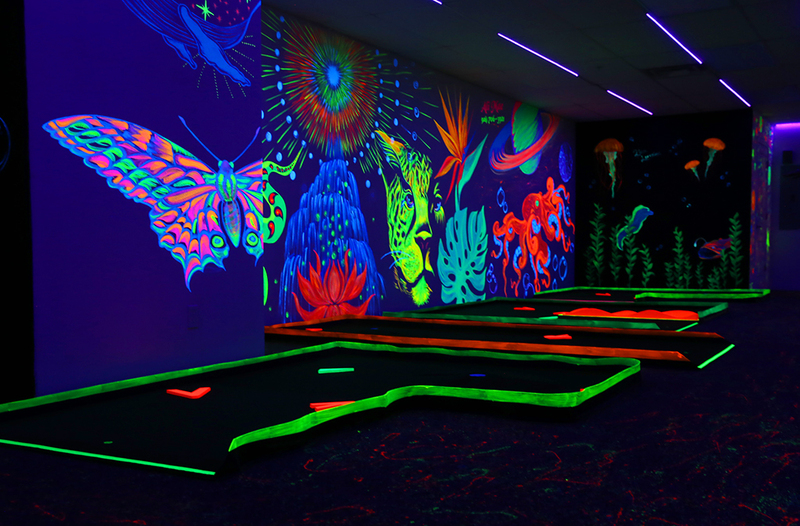 There is also no drinking allowed in the fun center, making it a family friendly zone for Havasu. Starr also told us he likes to have “Havasu prices” which are significantly lower than most VR attractions across the country. 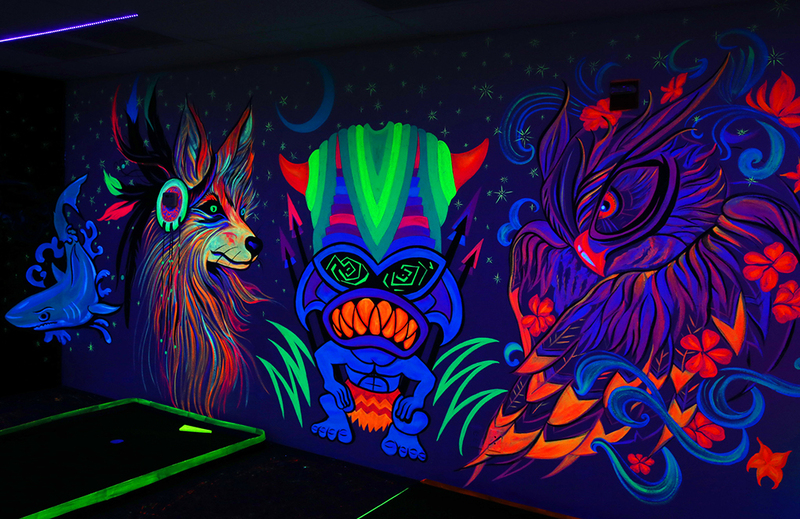 VR: Escape Reality just added glow golf with gorgeous, intricate glow-in-the-dark murals. 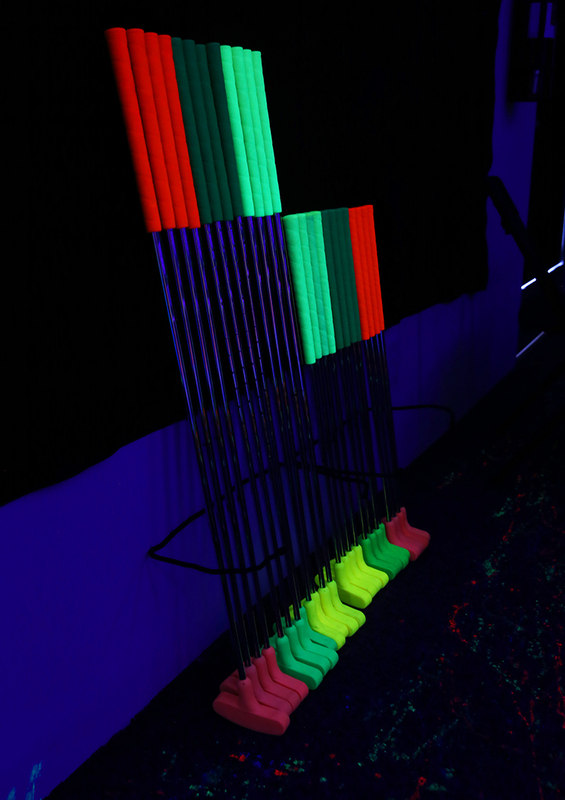 The golf course is accessible to all ages and comes with the 3D option. 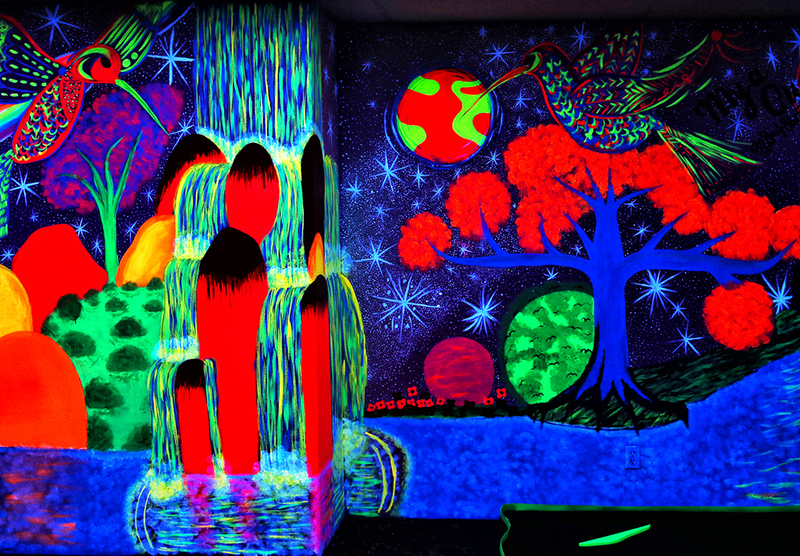 The unique murals were all done courtesy of local Havasu artists, Rina Lorraine, Mya Cucci, and Ali Mae. 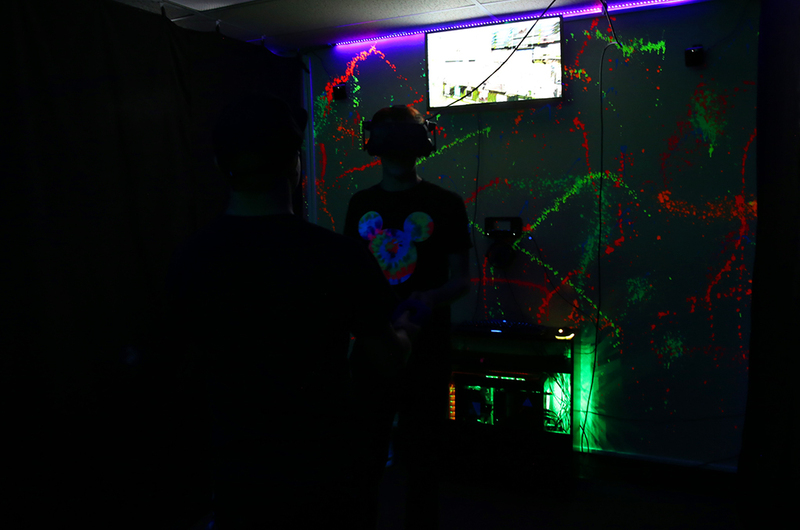 VR: Escape Reality is the result of a concentrated from one of Havasu’s very own young entrepreneurs. The new entertainment center is open from Wednesday through Sunday from noon to 10 p.m. Potential gamers can make reservations by calling or through their website online. 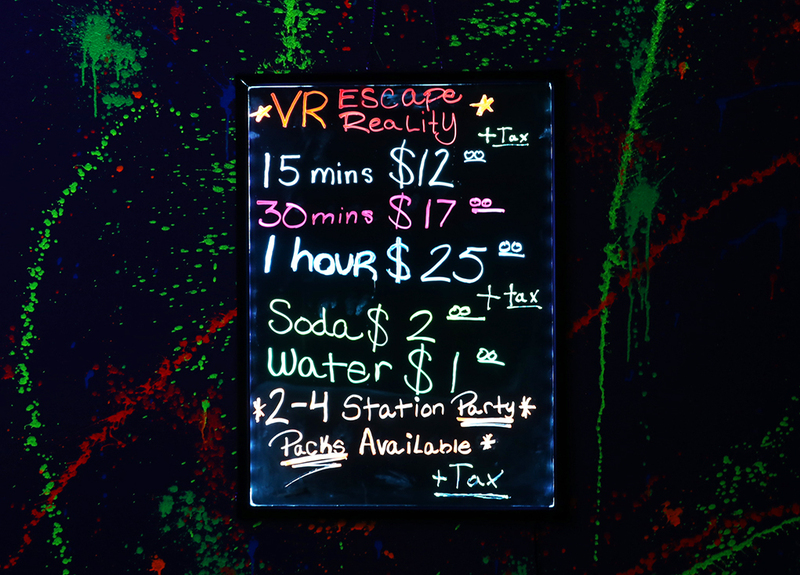 VR: Escape Reality also does birthday parties and special events. “We’ve done really well with word-of-mouth,” Starr told us as a rush of young adults came into the center. Lake Havasu City is already embracing the VR wave, but Starr wants to see it grow progressively bigger. 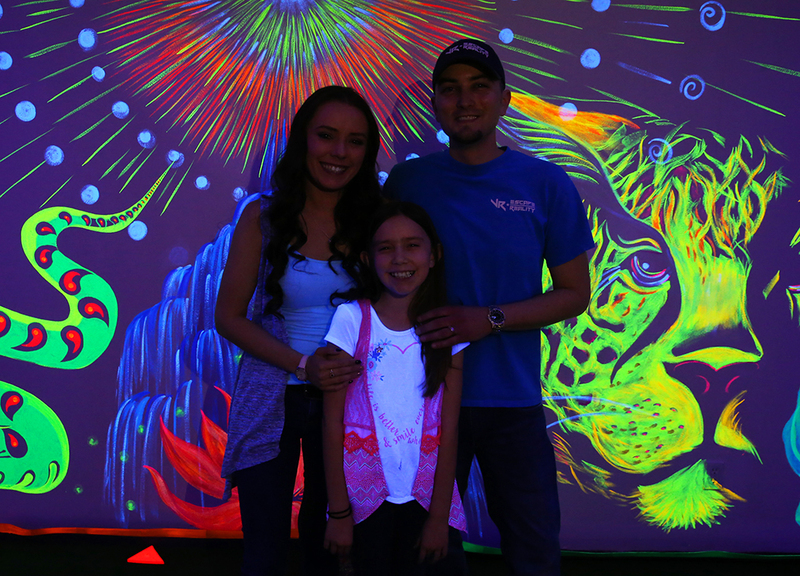 As one of the only places in Havasu to provide alternative, clean family fun, VR: Escape Reality is quickly becoming the place to be in Havasu.